Faraway's Antigua set is our largest oval set and seats 10-12 people. The generous table extends from a large 200cm using two butterfly extension leaves to an even larger 300cm length. 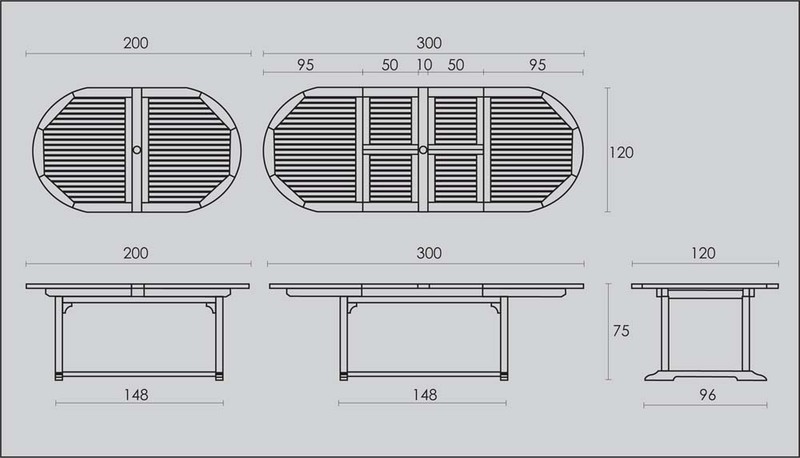 The double extensions are neatly concealed under the table top and the parasol hole is fixed whether the table is compact or fully extended. Includes 8 stacking Panama or Grenada armchairs. The Panama chair has a lower seat back with a wider seat area. The Grenada is high backed with contoured seat back. 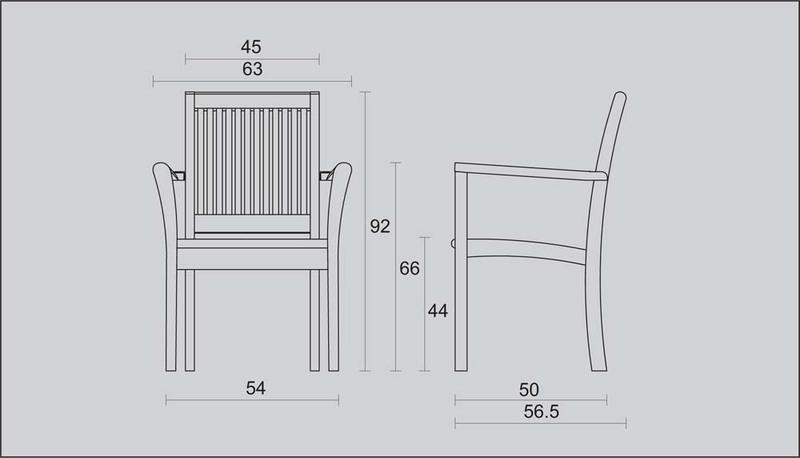 All our chairs are fitted with stainless steel arm supports for added strength. Extra chairs can also be added at a discounted price. This garden set is made of solid premium teak which has been sustainably sourced from legal plantations. The Antigua set is fully machine made to ensure a long life span and durability. Sturdy and well built table with very comfy chairs, faultless on every count, difficult to get good service but this company exceeded my expectations.